Welcome to the University of the Third Age in West Wilts, a lively and friendly association offering a wide range of study and leisure activities for those whose days are no longer tied to earning a living. We meet in various groups to follow subjects in which we have a particular interest. Further information about the U3A national organisation can be obtained from the main site. The West Wilts association has more than fifty interest groups. For further details view the groups page. No entry qualifications are required; no certificates or diplomas are awarded and there are no examinations. The object is to enjoy ourselves. 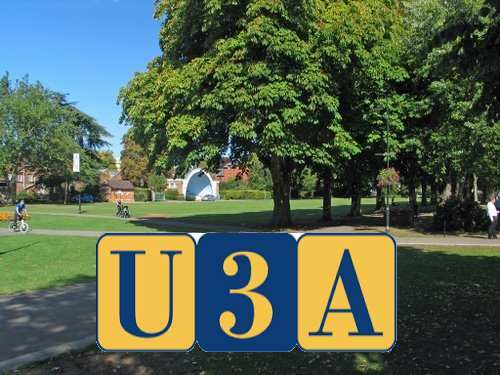 Our links page will guide you through a range of current activities outside of the U3a that we hope will be useful and enjoyable ! Each month we hold a general meeting at St James’s Church Hall, Union Street, Trowbridge where we are entertained by an invited speaker and a cup of tea to finish off. If you are interested in joining us or renewing your membership then please go to our membership page. For additional information use the menu at the top to access additional pages on this site.